Devastating Wildfires in California with more loss of life and treasure than ever before are capturing the news cycle. Whenever a shocking disaster occurs, voices can be heard that tend to place blame or lack of responsible action in one direction or another or express what could have been done to avert the catastrophe in the first place. Buzzwords, like Climate Change, drought, pollution, mismanagement, are loosely thrown into the discussion, but none matters, except where a blaze was the result of arson or gross human negligence. In this country, fire suppression agencies and forest management services do their utmost to prevent and to mitigate wildfires and to protect the public and save lives and property when a wildfire occurs. This does not mean, however, that there is no room for improvement and the record-breaking, devastating events we see in California are testimony to that. Here, we are looking at wild fires from the perspective of which best practices already being followed could be augmented or expanded by the use of one single, readily available and, in California to some extent, already employed tool: The Air Burners "Air Curtain Burn Box" or "FireBox." There are forest fires and there are wildfires. When we refer to forest fires, we speak of burning forests or woodlands with trees or stands ablaze. Wildfires are out of control fires that include forest fires but also fires of burning agricultural lands, regions without or with very few scattered trees and mostly brush or shrubs like Chaparral in California and many other regions around the world, such as the vast savanna areas on most Continents. Wildfires have been occurring naturally forever and forest fires are part of the forest life cycle going back to the beginning of the first woodlands. Lightning strikes or a boulder crashes down a ravine, and sparks set the forest ablaze. Mother Nature turned that into a tool to guarantee the forest’s long-term survival and enhance its flourishment over millions of years. 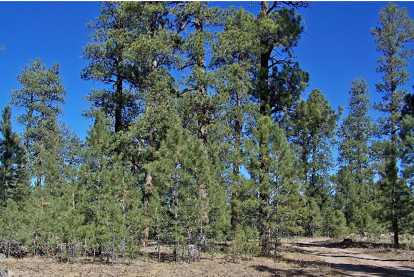 Trees adapted to fire by developing a tolerance by their trunks to a certain amount of heat. 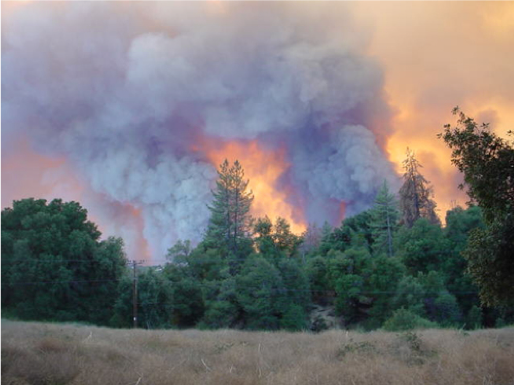 Some species, such as the California Redwood or Eucalyptus, evolved to a point where heat from forest fire became imperative for its procreation. Without fire, no sprouting of their seeds occurs. How is it then that forests sustained themselves over millions of years from fires without a scorched earth scenario, but today we have total wipeout of forests by wildfire that then spread into adjacent inhabited regions and farmland to cause such overwhelming destruction? Obviously, in many parts of the world, man has encroached onto the forest, including its eradication to provide space for dwellings, industry and agriculture. Of course, being in close vicinity to an area prone to potential fires is the first problem, but one pretty much unavoidable these days. Forests are beautiful, and people want to live near them. In earlier history, they provided shelter and sources for food and energy. So, forests have played an important role in mankind’s evolution. We cannot overlook either, that the trees through photosynthesis convert carbon dioxide to oxygen without which most life on this planet would not exist. Although today, there is already so much oxygen in our planet’s near atmosphere, that the ongoing release of it from photosynthesis by forests compared to from tiny ocean plants which release about 70% of it, is miniscule and inconsequential. However, the fact that carbon dioxide is absorbed by that natural process is an important aspect, as we will see later. What is different and what can be done to reduce forest fire danger? In short, the answer for cause and cure is human intervention. We can’t do much about the fact people want to live in the countryside or at the forests’ edge, and also have their businesses nearby. We can, however, make dwellings more fire safe by mandating, for example, metal roofs or set-backs from wild vegetation as well as plan the best evacuation methods. But these are measures that do not get to the root of the problem. They are mere Band-Aids. We must look at the condition and shape of the forest now and compare its state today to centuries ago and study the way Mother Nature handled forest fires before. Mother Nature let tree trunks evolve into tolerating heat, even light flames, for a reason. 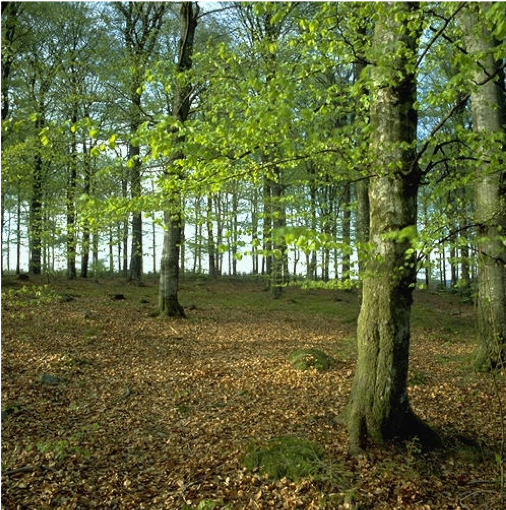 Woodlands are not just made up of trees, they provide a unique ecosystem right down to microorganisms in the ground and on the tree’s outer bark. A forest left to its own devices over many years will develop underbrush called understory vegetation that will occupy all the ground between the taller stands, the mature trees. The underbrush is striving for light, growing taller and taller, while all along depleting the soil of water and nutrients. That weakens the mature trees and makes them more susceptible to attacks by pest, like beetles and seasonal weather cycles, including periods of drought. In the myriad of years without appreciable human intervention, forests were set ablaze because they were struck by lightning or by other natural causes, such as volcanoes or crashing down boulders. Because these were recurring events, only the understory burned away. As is easy to see, that made the trees healthier, wiped out all the pests and invasive plants providing a clean ground where the residual wood ash aided regrowth. Flames never reached the canopies of the tall stands. They now enjoyed more sunlight and more water and nutrients, and they were stronger to fight off droughts and pests. What is different today, at least as we focus on the US, is the fact that in the early part of the nineteen-hundreds, government foresters thought it would be wise to fight and extinguish any and all wildfires to the extent manageable and otherwise to leave the forests to their own devices. In addition, throughout the country, sprawling developments encroached onto the woodlands’ borders, called the wildland-urban interface. Homes and commercial establishments were even placed into the forests with little concern for fire danger. Once forest fires were extinguished, the understory vegetation could flourish with the detrimental result already highlighted above. Any forest fire whether from natural or human causes, normally a mere surface fire, would no longer be staying close to the ground; instead it quickly would burn high up the ladder fuels, the understory that had been growing overly tall, and ignite the tree canopies. What you have now are the ranging crown fires, mega-wildfires we have gotten so use to and terrified of, as the fire jumps from one canopy to the next canopy. The entire forest will burn down, and we are left with a desert-like plain. What we are left with is scorched earth, where everything is killed, as the entire ecosystem above and just below ground level is wiped out, and we see partially burned dead tree trunks abound, either still standing or scattering the ground. Modern Approaches go back to those of Mother Nature. We already noted that we cannot move the human settlements away, especially the dwellings in the wildland- urban interface beyond fortifying them. What we can do is return the woodland’s side of the wildland-urban interface back to what nature intended. That is simply to clean out the underbrush, the ladder fuels to give the tall stands a chance to survive a natural wildfire. Additionally, we must clear a reasonable area between homes, farmland and industries and the woodlands’ edge and the Chaparral or other brush overgrown regions, that is we must create a defensible zone, so that a wildfire would see a barrier or fire-break between the developed areas and the woodlands and brush areas. This is often done by very limited broadcast burns - intentionally set fires by forest professionals, but better by cutting and removing, then collecting the forest slash, including small trees that had grown to be ladder fuels. There are only two reasonable ways to deal with this woody forest debris (not the Chaparral and similar vegetation): take it away as is or process it into chips and haul them off or eliminate the debris onsite in an Air Burners FireBox, without question the most desirable way. The first method is costly and the Diesel engines in the required trucks and grinders are heavy polluters. The air curtain burn box method is much less costly and is environmentally friendly and considered “carbon neutral.” The carbon dioxide that is released from the combustion process includes the same carbon that the tree had absorbed from its surroundings while alive through photosynthesis. Air Burners FireBox systems should equally be the forester’s choice when it comes to forest rehabilitation of drought or pest-stricken forests and the clearing of partially burned stands from wildfires. Dead standing trees, and there are millions of them in the Western States and Canada, may present the basis for further wildfires that could spread to healthy woodlands and which furthermore, should be prepared for reforestation. Bare land void of flourishing vegetation in hilly or mountainous regions is prone to mudslides and replanting the lost vegetation is imperative. A true forest fire, that is a fire burning woodlands, releases mostly CO2, water and a tremendous amount of smoke or “black carbon” known to be a serious contributor to climate change. Of course, the exposure to excessive smoke is extremely detrimental to the public’s health, as we can see in California this fall. Burning wood waste in a FireBox virtually eliminates the release of smoke, as that was the very design goal for the machine. What is often paid little mind to is the fact that a wildfire as we see in California also destroys many man-made structures, homes, warehouses, businesses, depots, chemically treated power poles, fence poles, vehicles and the like that contain combustibles that may be highly toxic when burned openly. These toxic emissions can pose a more detrimental health hazard than carbon smoke alone which is bad enough when inhaled in unwarranted quantities. Simple personal face filter masks typically do not protect against such hazardous pollution. This is yet another reason why we must increase defensible zones and separate the fire-prone woodlands and brush regions from inhabited and cultivated lands. Some part of the mega-fires could possibly have been mitigated, had more FireBoxes been funded and deployed sooner and more often for defensible zone expansion and forest fuels management endeavors. To learn how FireBoxes work and how they are applied for wood waste reduction as well as energy conversion, refer to the appropriate sections on this website, www.AirBurners.com.